A recent bout of memes forced Outback to deny its ties to the occult, but this isn't the first time someone connected the dots. When I was in middle school, my parents took me out to dinner at an Outback Steakhouse as a reward for getting straight As on my report card. I ate so much steak that I threw up in the bathroom, but I still got a brownie sundae for dessert. That fond childhood memory gained a sinister undertone last Wednesday when Twitter sleuths dug up some damning Google-Maps based evidence and uncovered a connection that sent shockwaves through the internet. It was a direct link between everyone’s favorite Florida-based, Australian-themed restaurant and the Prince of Darkness himself. No text was necessary. The evidence was laid out plainly, in the form of five red lines. These five Outback Steakhouses in Arizona clearly formed a pentagram: the shape that’s evil! That tweet certainly caught the eyes of some, but it wasn’t until another Twitter user, @eatmyaesthetics, poked around further that things really got eerie. Arizona was one thing, but the New York metropolitan area? INDIANAPOLIS? Clearly, something evil was afoot at Outback Steakhouse. Other commenters were quick to respond with pentagrams of their own. But this wasn’t the first time the internet connected these two powerful entities. A post from Tumblr, uploaded to Know Your Meme in 2014, made the same connection- five Outback Steakhouses, five points of the devil’s star. This time, however, Outback Steakhouse publicly denied the rumors through a pair of tweets, both of which featured the Bloomin’ Onion, a dish that is arguably proof of Satan’s existence. 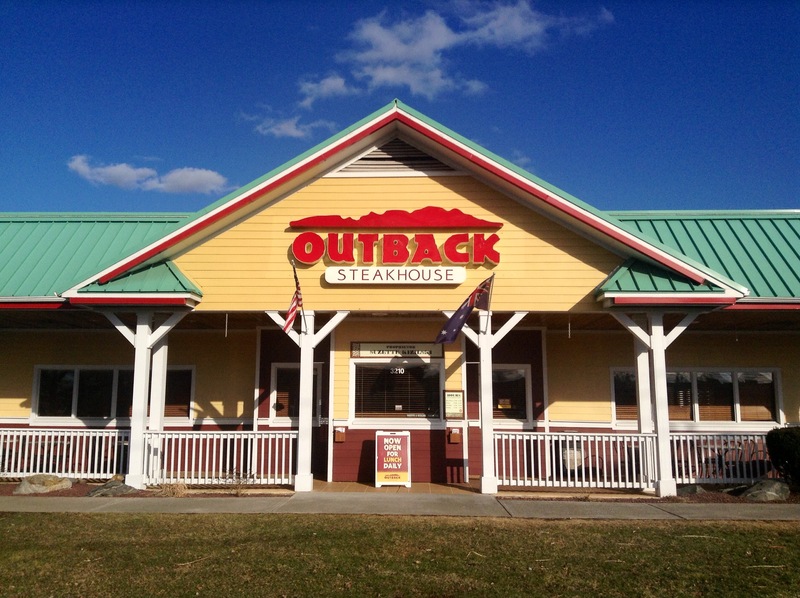 In the midst of all the Satanic panic, however, an even more horrific truth about Outback Steakhouse was lost in the shuffle. Yeah, good luck falling asleep tonight after that one.